If you still have leftovers kicking around in your fridge or freezer, this simple quesadilla recipe will breathe new life into those tired bits of leftover cheer and turn them into an anytime lunch or weeknight dinner. A.V. Perkins, writing at Blavity, took leftover Christmas ham, a few items she had in the pantry, seasoned it up, warmed it all on the stove and then piled it between some tortillas and cheese in the waffle iron. The final result? The mouthwatering plate you see in her photo above. 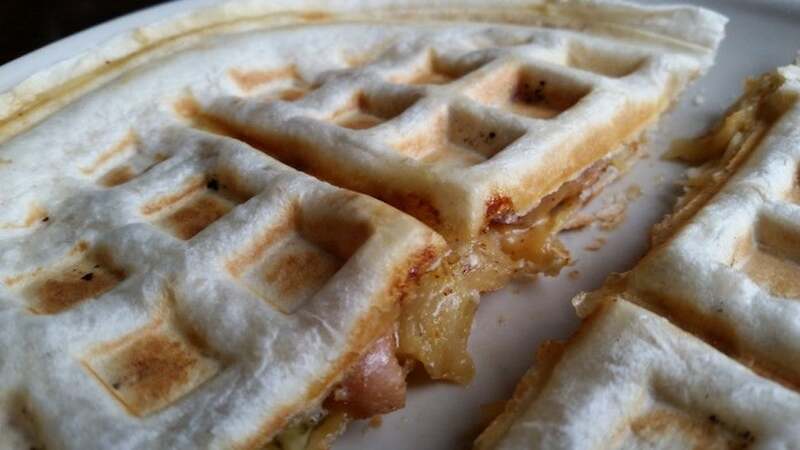 She also explained that while the waffle iron is ideal for something like this, you could just as easily grill your leftover-packed quesadillas to get the same result. If you don't have ham kicking around in your fridge, leftover dressing, or just about any other protein would work just as well — and after all, if you do have leftovers in your fridge from the holidays still, it's definitely time you use them up, if they're still good. Hit the link below to grab the full recipe. The server at blavity.com is taking too long to respond. Damn, I'm hungry and the fridge is full of ham and 'stuff'.